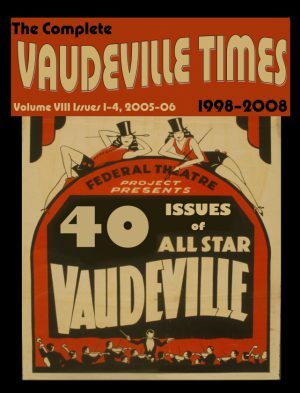 Volume X, Issue 1: Vaudeville History Part XII, From Stage to Screen, First American Movie Actors, Vaudeville’s Silent Screen Stars, Vaudevillians in American Sound Films & The Vitaphone Project. Volume X, Issue 2: Vaudeville History Part XIII, Vaudevillians in Radio, Vera-Ellen, Vaudeville History Part XIV—the New York Clipper & reviews. 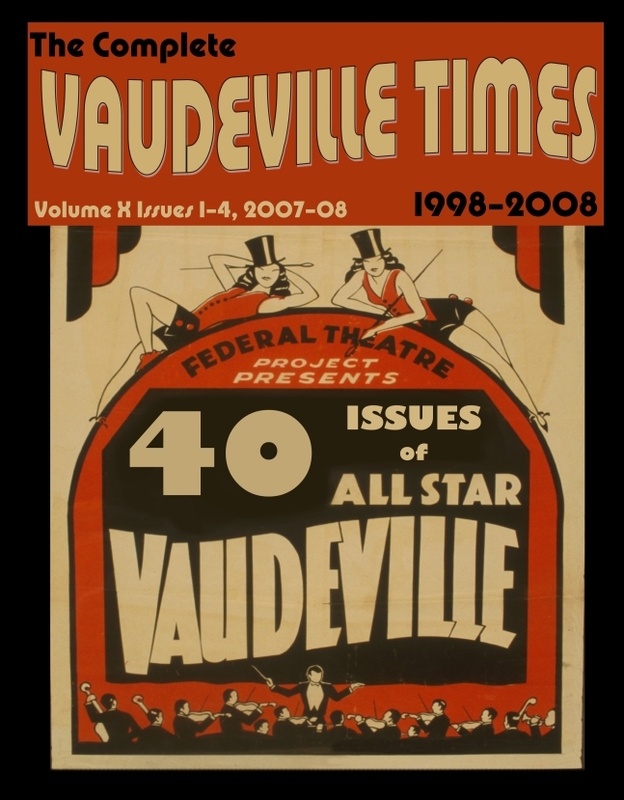 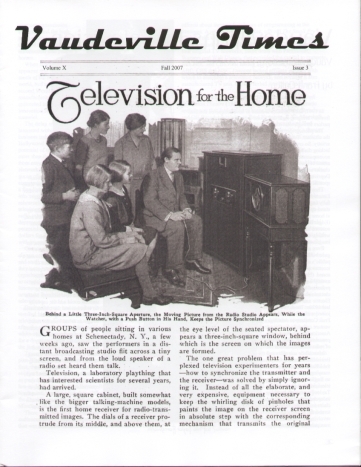 Volume X, Issue 3: Vaudeville History Part XV, Vaudevillians in Television, John W. Cooper & Irving Berlin. 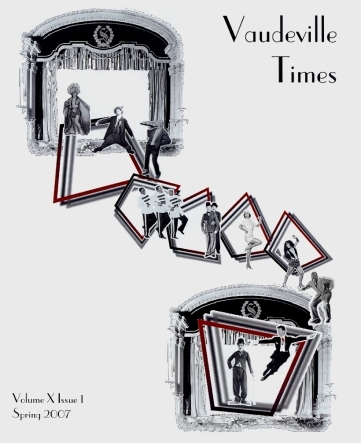 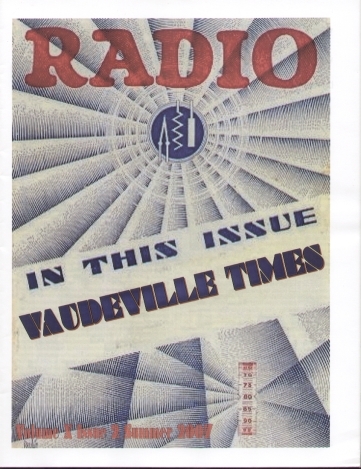 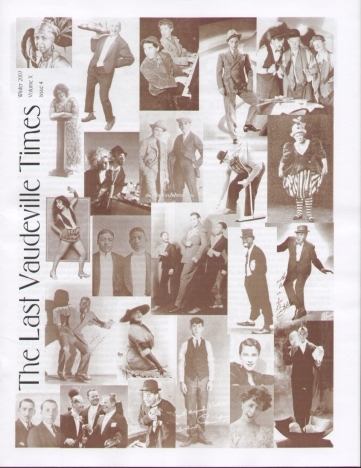 Volume X, Issue 4: The Last Vaudeville Times, Sam Cowell, Henry Clay Miner, Lillian Goodner, Carnell Lyons, Brenda Bufalino, Tap & Tray, Betsy Baytos & Reviews, Bye Now.